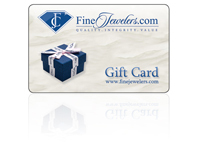 Emerald Cut Diamonds Bands | Free Shipping | Finejewelers.com, Inc. Anniversary Bands in the News! - Most people are under the impression that pearl is the official birthstone for the month of June. There are many different ways to cut a diamond, and they all have their passionate supporters. Although round cuts and princess cuts are both certainly popular, they"re also quite common. If you want something that stands out from the crowd, emerald cut diamond bands can make for stunning and beautiful rings. Because of its elongated shape, an emerald cut is often paired with accent stones. This could be a birthstone or just about any gemstone that you think will work well for your band. Sapphires are a common favorite, but you could also opt for a ruby or even an emerald. Tapered baguettes are a traditional choice. There are many ways to make it your own, and they"ll all look gorgeous on the right person"s finger. Karina B™ Emerald Cut Diamonds Band style: 8122 1.50 cts. Karina B™ Emerald Cut Diamonds Band style: 8125 2.00 cts. Karina B™ Emerald Cut Diamonds Band style: 8164 1.25 cts. Karina B™ Emerald Cut Diamonds Band style: 8165 1.00 cts. Karina B™ Emerald Cut Diamonds Band style: 8161 1.25 cts. Karina B™ Emerald Cut Diamonds Band style: 8162 2.00 cts. Karina B™ Emerald Cut Diamonds Band style: 8163 1.50 cts. Karina B™ Emerald Cut Diamonds Band style: 8216 1.20 cts. Karina B™ Sapphire Band style: 8251S 1.80 cts. Karina B™ Emerald Cut Diamonds Band style: 8217 1.00 cts. Karina B™ Emerald Cut Diamonds Band style: 8192 1.50 cts.